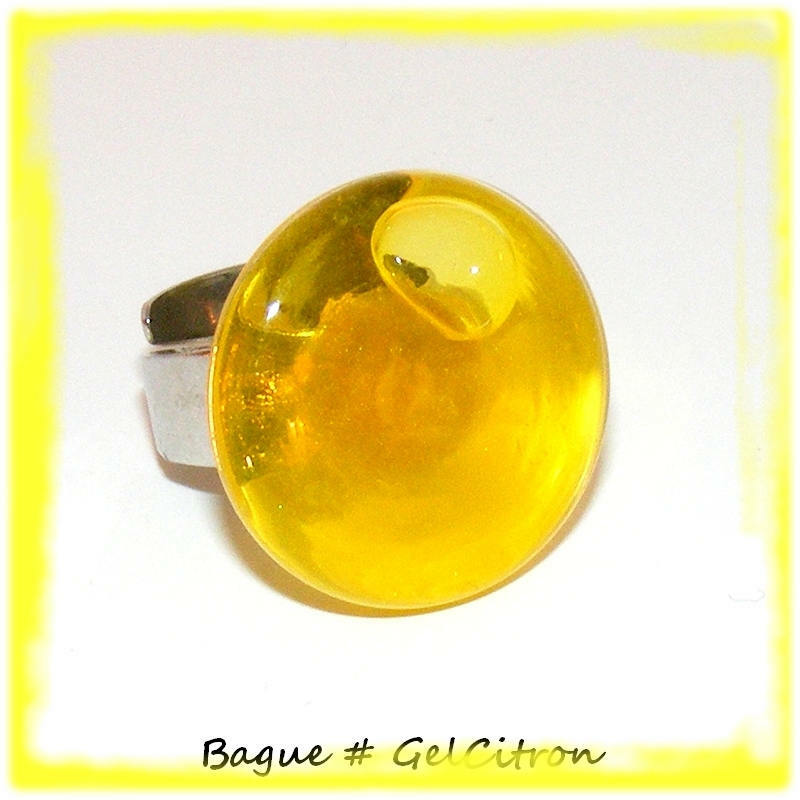 Unique glass globe ring filled with gel, flat disc translucent lemon yellow color. 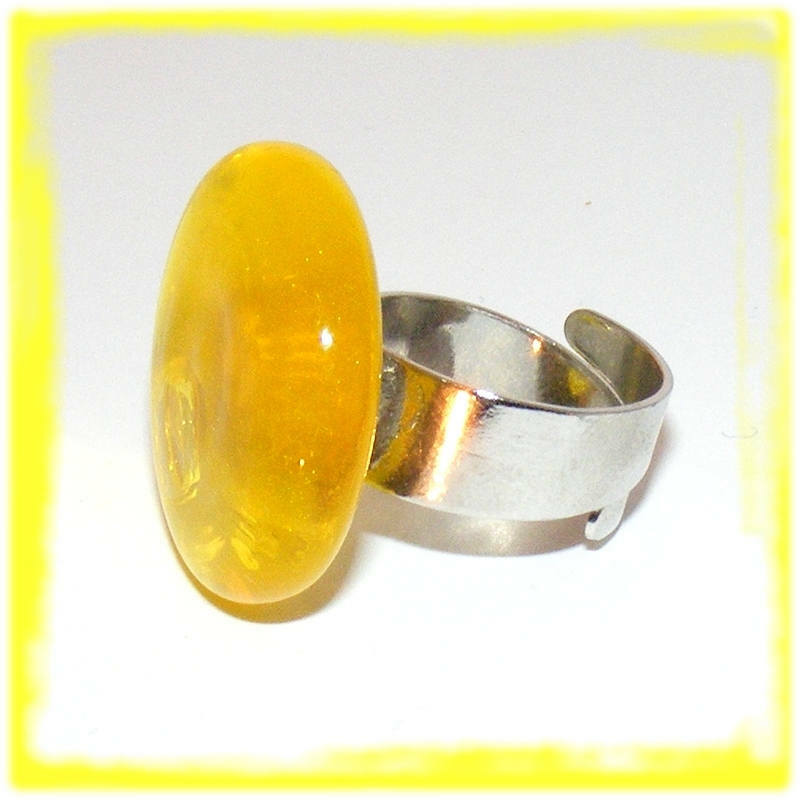 Material: Alloy silver color high quality and ring finger adjustable. 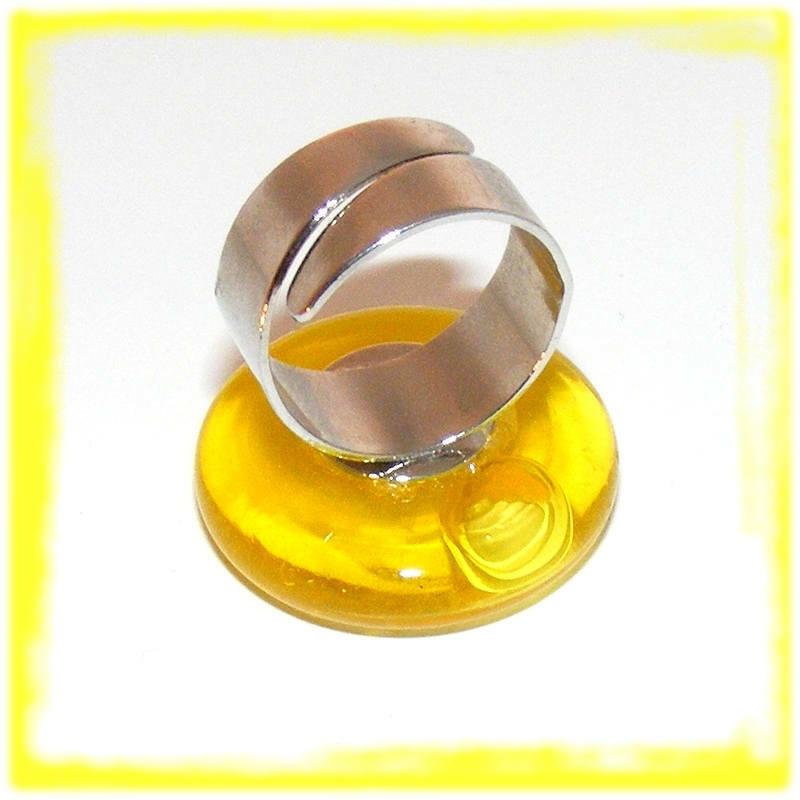 The ring holder is standard European RoHs limiting using the five metals proven harmful to our environment, chromium, mercury, cadmium, nickel and lead. The globe is filled with lemon Frost slow moving with every movement of the ring. This globe is glued to backing with Epoxy glue for linking metal glass.